My name is Sharon and I am a caregiver to my mom and was to my dad until he passed away 3 years ago The plan was that me and my husband of 25 years would purchase my parents house and my parents would stay on with us in familiar surroundings with family close by. At first we lived our own lives as my parents looked after each other and did their own thing. But once my dad stopped driving, things changed. I quit my full-time job. I planned on getting a part time job, but the demand for drives to the doctors and social outings became overwhelming and I never did get another job. I was a full-time caregiver to my parents. I remember coming across the Caregivers NS website about 6 years ago and took a drive over on a whim. 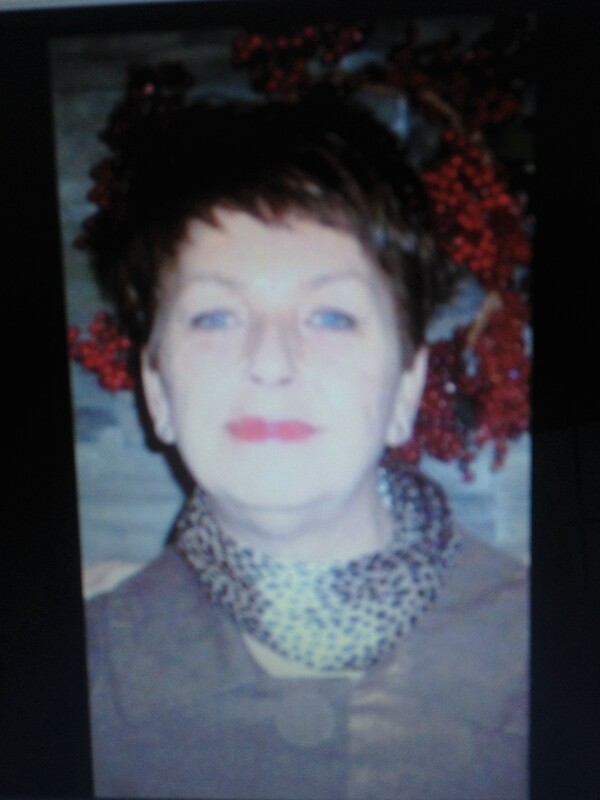 Lynn Butler (one of their support coordinators) was so caring and empathic and understanding...I think I cried. I had no idea how to help my parents with all their medical problems, I didn’t know what was available for support for them. Brenda Sangster, another support coordinator at Caregivers NS, gave me an ear to unload all the challenges I had. I don't know what I would have done without the Caregivers NS support group being there every month where I could just unload. Just listening to others at the table gave me encouragement to keep going. My mom was diagnosed with spinal stenosis 10 years ago. With therapy and medication, she can now look after herself for the most part, but I do the housecleaning and run errands for her or with her. My brother and sister-in-law are a big help. They take my mom for appointments just to give me a couple of hours to myself. Otherwise, I am on call 24/7. We have 3 micro mini Labradoodles and a Black Lab which my mom loves. They keep her mind off the loss of my dad, which she still grieves for as we all do. 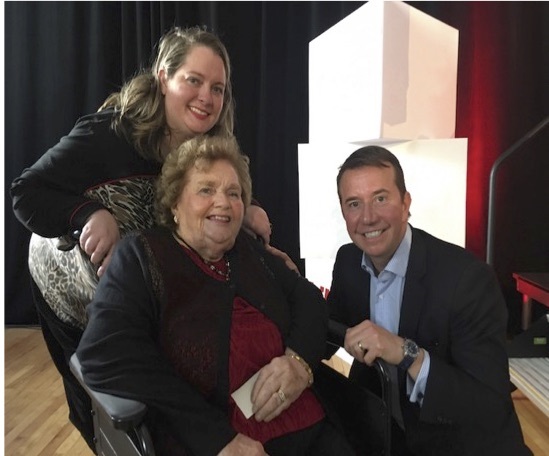 What do Marie Sr. (seated), Marie Jr., and The Honourable Scott Brison have in common? Caregiving! When Marie’s husband’s health declined to the point where he needed 24/7 care, she made the decision to leave their home of 56 years and move her beloved spouse and herself into long-term care. Sadly, David Jones, Q.C. passed away earlier this year but was well looked after by his dedicated wife. Marie Jr. can best be described as one of the “sandwich generation” as she cares for children and an aging parent at the same time. She takes her mother to social gatherings and outings from the facility where she now lives. Not a day goes by that Marie Jr. does not have contact with her mother. Scott’s mother was diagnosed with Alzheimer’s, and Scott’s Dad and the entire family rallied to support her. Every weekend he was home in Cheverie, Scott spent time helping his parents in all the ways caregivers do – right to the very end. Caregiving affects all Canadians, including Members of Parliament. Downsizing twice...selling our homes that we worked so hard for...giving up career and income, causing divorce with the many pressures of more costs than income, leaving me now in a mini home which I never planned for, and the challenges in trying to get help to care for him. I haven't had a life to think about in 22 years. My whole focus is Callum. I have been fighting for my son all of these years. I am truly exhausted. I have nothing left financially, emotionally, physically, mentally, this is the reality of caregiving! Caregivers are suffering in silence every moment as they lost their loved ones before the caregiving even began. They have to learn to be around someone very different, physically, mentally and emotionally. It is an exhaustive process and the caregiver becomes invisible, there is no one to truly listen or believe that you are in caregiver burnout, which I have been several times, yet, I am still his primary caregiver. The support group meetings are beautiful, as they help us to release for two hours before we have to go back to caregiving. I need hope and that is what we, as caregivers, cling to, hope, that is all there is. My name is Eleanor and I give care to my husband of 47 years. Thirty-eight years of nursing does not prepare you for caring for a loved one 365 days per year. If you are sick yourself or just beyond exhausted, you still have to carry on. I resent people telling me they understand because unless you have done what I am doing, you don’t. I retired early due to husband's declining health and this has affected my pension. After almost 47 years of marriage you are told "we have to respect the wishes of the patient" and if he doesn’t want Home Care, we cannot help you. He can’t be left alone and there are no relatives near so I get the groceries, shovel the snow, bring in the wood, etc. I am always worried about what would happen if I fall. My husband is hard of hearing and doesn’t see well. Would he even remember that I was outside? If he did, could he walk that far or try to come out? Would he end up needing my help? With advance diabetes, his blood pressure is either too high or too low. His dialysis strength depends on his blood pressure reading. Sitting the bottom number could be 109. Then standing, the top number could be 87. There is help a phone call away but he gets very upset if I call. He has a bad heart, so I don't want to upset him. (Despite his hearing issues, he hears if I try to call for help.) Sometimes the clinicians who come to the house don’t seem to understand the stress we are both under. Never tell the medical system that you are a nurse! I was told I had to take a dialysis course to care for my husband. I had shovelled out the driveway before going to my first class and later in the day I was in terrible pain. The instructor questioned my willingness to learn. My husband knows how to give himself dialysis but his poor vision prevents this. I taught my son how. Still, I was told I should not have gone to my young nephews funeral. I have to be up through the night, every night. I’ve talked to a social worker about some of my issues. In spite of all this, I am not a martyr. I am a wife who loves her husband. The reward is the many hugs I get each day. Our Caregivers Support Group is fantastic and I appreciate Cindie’s leadership. Each month it is a pick me up.